Friends will share with you some information and ghazals in Gujarati.Ghazals isthat experience which have soothing melody,emotions,It itself have language of love and beauty. the sentiments, emotions and words form a ghazal, here i am trying to give u little informations of gujarati ghazalkar(poet)Hope you all will like it. He was popularly known as Asim Randeri.He was born in Rander area of Surat on 15th August 1904. He was popularly known as Asim Randeri.He was a legend in Gujarati literature from pre-Independence era. He received Vali Gujarati Award in 2006. His qualification was till matric before working for a british company.He started writing ghazals at the age of 18.He was working between 1928-1932 with Kenya Daily Mail In east Africa.And after that from 1932 he work as salesman with Sweedish Match Company In Bombay. His work like Leela, Shringar, Tapi Tirey, Gulchadi revolunized gujarati ghazals writing.Leela a character created by him was a hit among the youth.His love for this character continued and it lived in a form of magazine with the title Leela for 6 years.Tapi Tirey Is also a great collection of gujarati ghazals for the love blosoming on the bank of river. Its my pleasure to present some collection of his poem over here. કિંતુ મારી લીલા ક્યાં છે. કેમ મને વૈરાગ ન જાગે? તમે મારી છાબી ભીતે નહી, દીલ મા જડી હોતી. He travelled a lot with his Ghazals across India and Abroad and perform various television shows radio programmes, He was the first to hold Mushairas On All India radio. he later also travelled a lot to Pakistan, South Africa, Us with his ghazals. 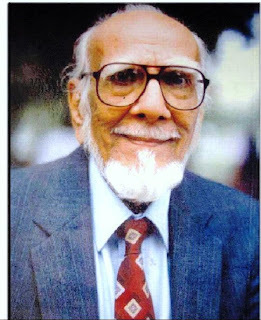 He died at the age of 104 In rander Area of the Surat City on Thursday 2009. We all miss him and remember him while reading his ghazals and poems and sure those will bring smile on our face and heart.